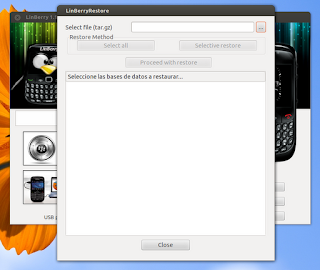 I have written a post about Linberry on how to install it on Ubuntu, please check the post if you haven't read it yet. Today, I'd like to share my experience connecting BlackBerry Gemini 8520 on Ubuntu 12.04 LTS Precise Pangolin with LinBerry. 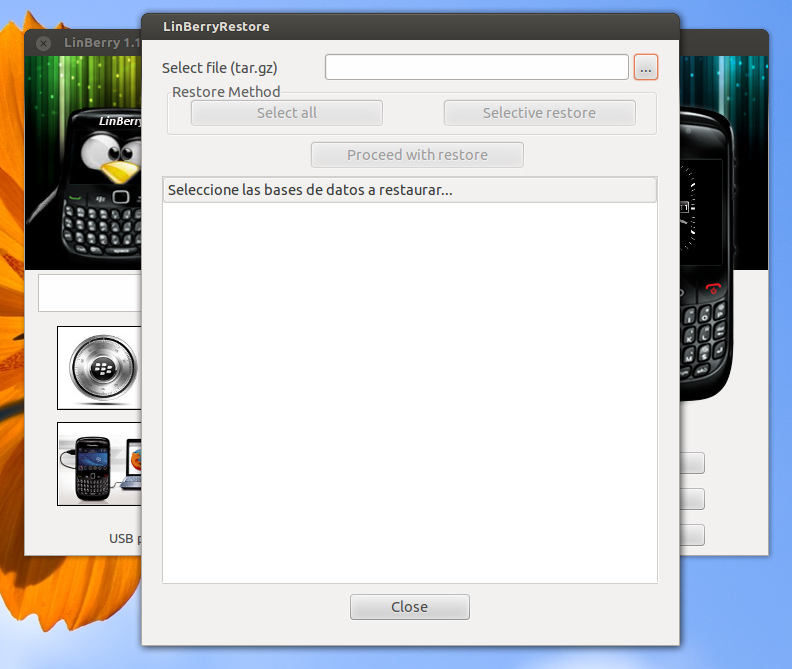 Please refer to my previous post on how to install LinBerry on Ubuntu. 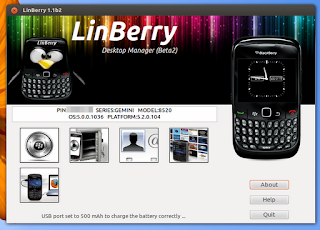 On the current release of LinBerry, it doesn't support BlackBerry password, so please disable the BlackBerry password. 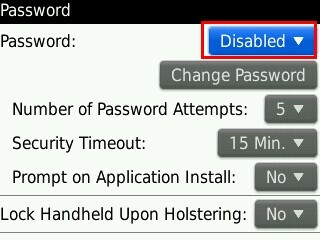 On your BlackBerry device, press "BlackBerry menu > Options > Password" and set "Password" to "Disabled". 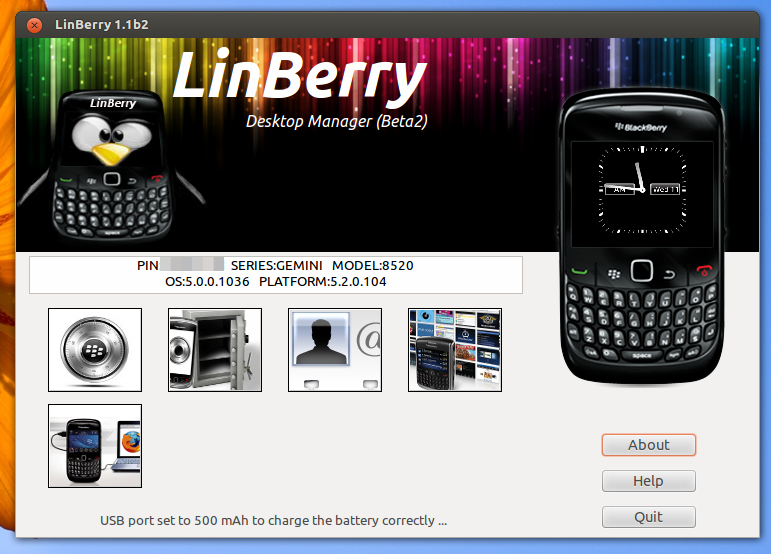 Now, open LinBerry, and you will be asked to connect your BlackBerry to USB port. When message dialog "Do you want to turn on Mass Storage Mode?" appears, choose "No" and now you should have BlackBerry connected to LinBerry. 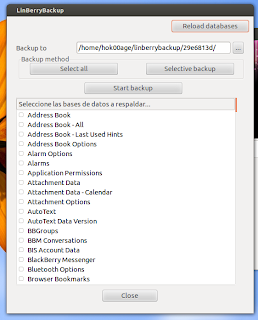 Set the location of backup file you want to save to, select the items you want to backup, and press "Start backup" to perform backup process. Once the backup process finished, there is a *.tar.gz file which can be restored by using LinBerry restore feature. Please locate the backup file (with *.tar.gz extension) then press "Proceed with restore", please wait until the process is completed. 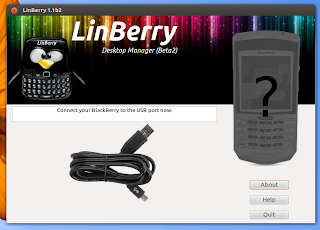 In the next part of this post, I'll cover three features of LinBerry: Contacts Management, Applications Management, and use BlackBerry device as a modem.